Aggramar – For us doing it as a 5 man group, the Flame Rends were already getting us dangerously close to death every time they came in. As a hunter you have no real damage reduction personal and that was putting our hunter (Spuder) to dangerous health percentages every single Flame Rend. Another thing to consider is if we had a single death that couldn’t be covered with a CR (We wanted to save the soulstone for the DK) then it was a guaranteed wipe. The slashes would not be survivable without the player that died being up for the next set. Argus – Nothing really special or out of the ordinary that we did here, the only noteworthy thing is that we used Heroism at the start to make sure we had it available again in the last phase. Overall thoughts – It was really sort of a group decision to start doing challenges like 5 manning through ToS heroic, and with the recent changes to Concordance we figured we’d give Antorus heroic a shot as we had talked about it shortly after our KJ heroic kill with the same team. The main reason why we all felt like doing these challenges is because we all started to get quite burned out waiting for Battle for Azeroth due to already having finished the raiding tier as a guild–just farming for extra gear only took a day or so. All in all we think the activities have given us a nice little time sink as we quite enjoyed figuring out tactics and number-crunching with different gear sets and comps–e.g. could we one-tank Aggramar or would we need to two-tank it or could we get away with pulling two adds in during intermission etc. With regards to the overall encounters, the main way we went about achieving the kills with 1 tank and 1 healer was to have our Resto Druid swap into Bear Form and tank for certain periods of time–e.g. she would be taking 8 stacks like a usual tank swap on Aggramar or a slash on Argus to reset the stacks for our Blood Death Knight so he wouldn’t die to the debuffs. Another thing we were constantly prepared for was the potential that the Blood Death Knight might just die on certain bosses–e.g. Argus last phase on heroic due to the stacks not being resettable and so our DH would always be prepared to Blur and tank for a couple seconds while we Soulstoned or walked to the tree. 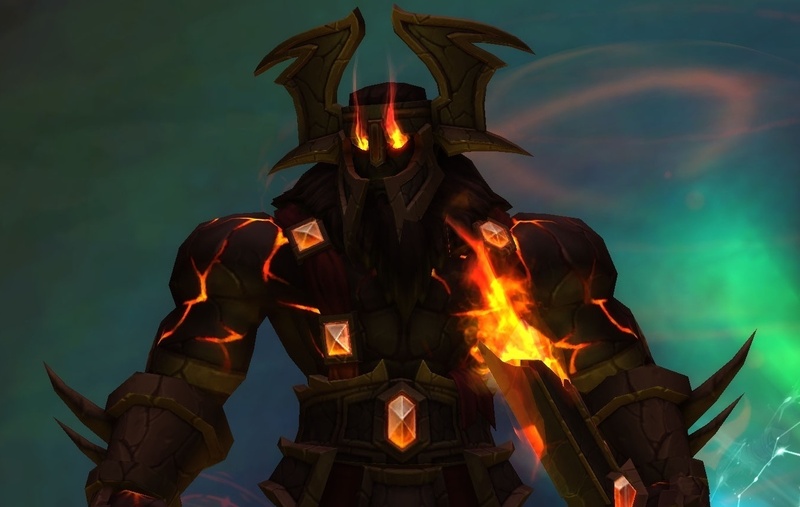 On a final note, in regards to the Aggramar fight in general, this fight should only be possible as a 5 man group, with anything less the boss would gain his damage stacking buff every flame rend and the damage would just destroy a group of 4 or less to the point where he’d just start 1-shotting players. Overall i’d say we’ve had quite a lot of fun and laughs progressing through these challenges and we hope to do similar challenges in BFA with the same group of people.